We are continuing our tradition for Dusshera with dishes made with Super Food ingredients such as brown rice, lentils, tofu, quinoa, and leafy greens for eating healthier and better. These dishes will bring balance to all the foods you may be making for the holiday season. We're starting off the dishes with TOFU!! 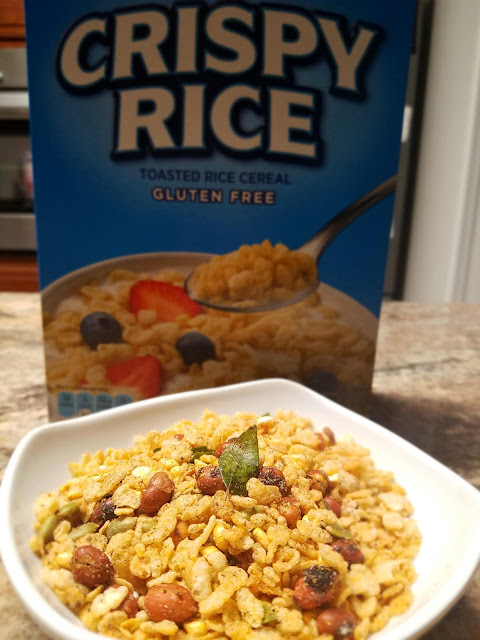 It's healthy, protein enriched and easy to cook. We're always trying new spice mixes to help us in the kitchen. 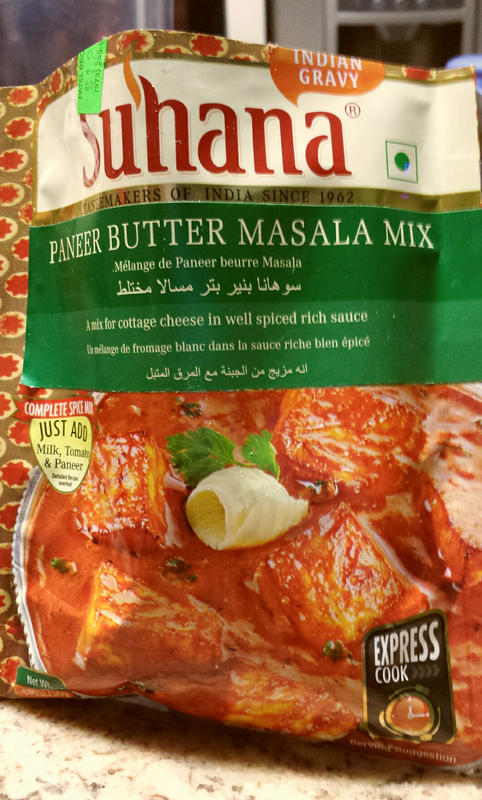 At one of our most recent grocery shopping trips to Patel Brothers Cash and Carry (in Parsippany), we found Suhana branded Paneer Butter Masala Mix - great for gravy style curries. 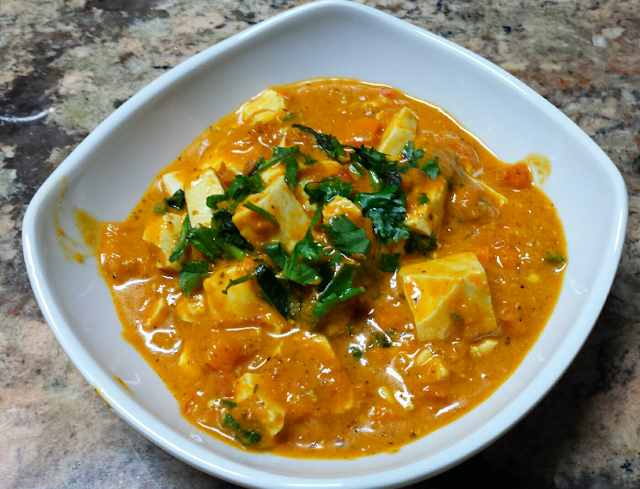 1) Make a paste of Suhana Paneer Butter Masala Mix and milk and set aside. 2) Heat oil in a pan, add chopped onion and cook until the onion mixture looks translucent. Then add crushed tomatoes and cool till the oil oozes out. 3) Add the paste and cook for two to three minutes. 4) Add water, tofu, and butter. Cook till gravy thickens. Then add frozen peas and carrots and cook for a couple minutes. Turn off stove and garnish with fresh coriander. The spice mix is easy to work with and doesn't require a lot of steps. 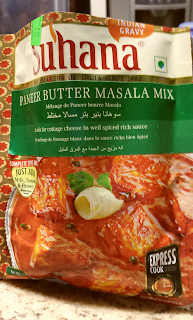 A lot of times, we find that spice mixes tend to be on the spicy side but this spice mix was just right. Everyone enjoyed the curry and it was easy to eat with chappati or roti as well as rice. We would definitely recommend all to try.